A few years ago, Foxygen dropped a pretty long album. ...And Star Power was not nearly as successful as it should have been but, as I said then, the ambitions of the players made it a worthwhile proposition for a listener. Now, with a good deal more success, the band is back with the shorter Hang. Out Friday on Jagjaguwar, this new record, despite its brevity, is fairly bold and similarly ambitious. However, things sound a lot more organic this time around and I am now more firmly a fan of this group. Read on. Sam France and Jonathan Rado have employed a full orchestra on each cut this time out and rather than make things too over-the-top, the addition of those strings has sharpened the focus of this duo. Opener "Follow The Leader" is all Steely Dan-worthy catchy hooks mingled with a Jellyfish-like sense of a big melody, while the superb "Avalon" offers up what sounds like an early Queen number as re-imagined by Rufus Wainwright. Elsewhere, the odd "America" brings a near-Broadway stomp to things, while the excellent "On Lakershim" rolls like mid-period Roxy Music mixed with the tune-age of peak Elton John. If "Trauma" very nearly adds a Crime and the City Solution-style morose mood to the proceedings here, things peak up on the beautiful closer "Rise Up", a blast of triumphant Seventies song-craft decked out in modern trappings. 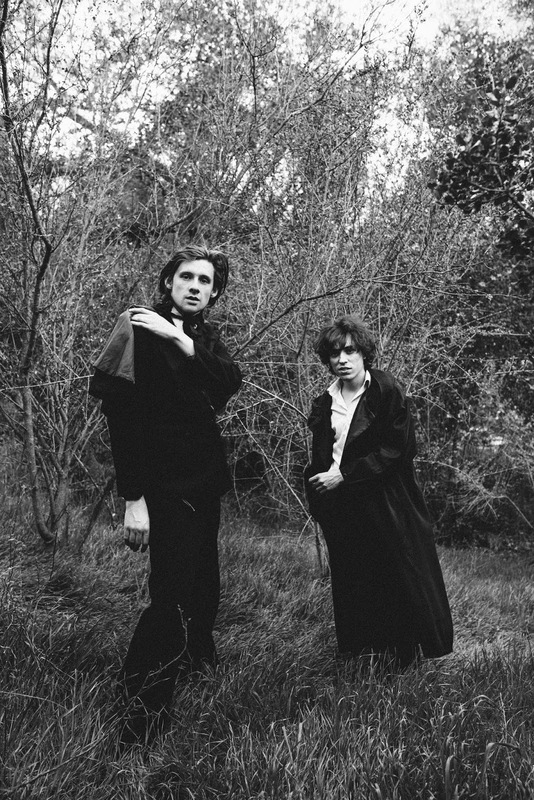 Foxygen have refined their focus this time around. And if the results are far shorter than what was on their earlier, much-acclaimed previous album, that's okay 'cause the tunes here are bigger and easier to embrace. France and Rado have grabbed hold of an earlier generation's sense of what makes a good song and applied that logic here. Rarely has a band made music this big -- there's an orchestra on every cut, for God's sake! -- that wasn't overbearing or too florid. Hang manages the mean feat of being concise and precise while being simultaneously lush and nearly baroque in spots. An excellent step forward for the guys in Foxygen. Hang is out Friday on Jagjauwar. Follow Foxygen via the band's official Facebook page. Spin New Split Single Video Here!